So I bought a belt today (pleather, 75 cents at the Goodwill). and decided to show it off. This is me putting it together. 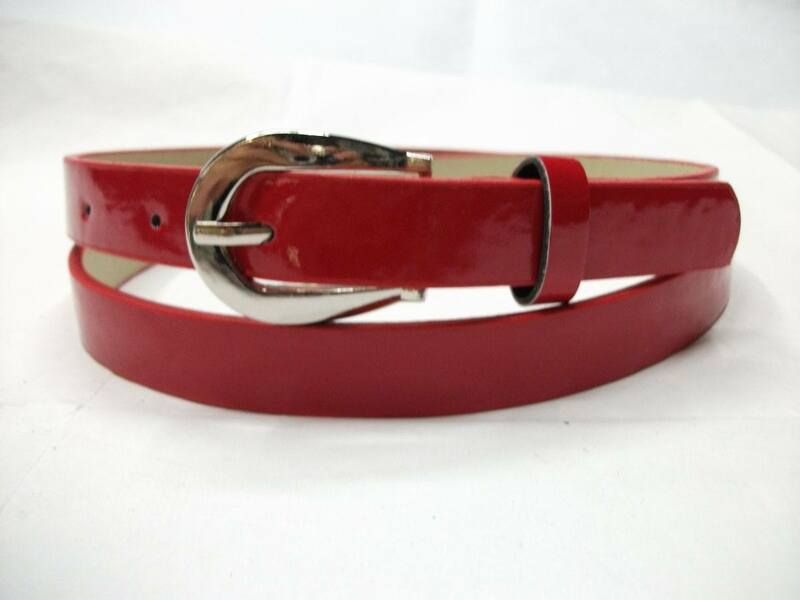 At this point you’re probably saying WTF: that’s not what a belt is supposed to look like when you put it together. 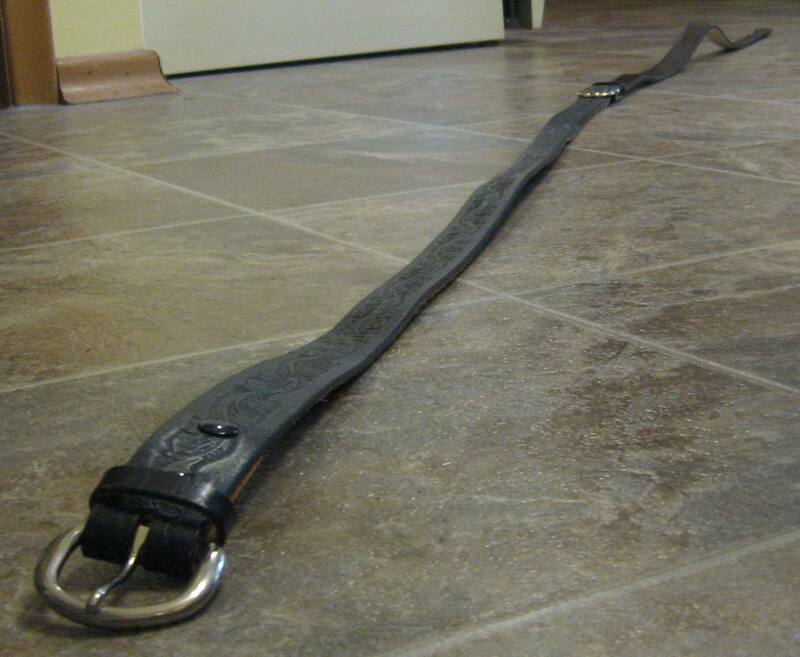 That’s because I linked it together with my other belt. I say: broaden your horizons of how nucleophiles and electrophiles can meet. Here’s a typical reaction you meet early on in Org 2. Formation of an ether through the addition of an oxygen nucleophile to an alkyl halide. This is the Williamson ether synthesis. Makes some sense, right? 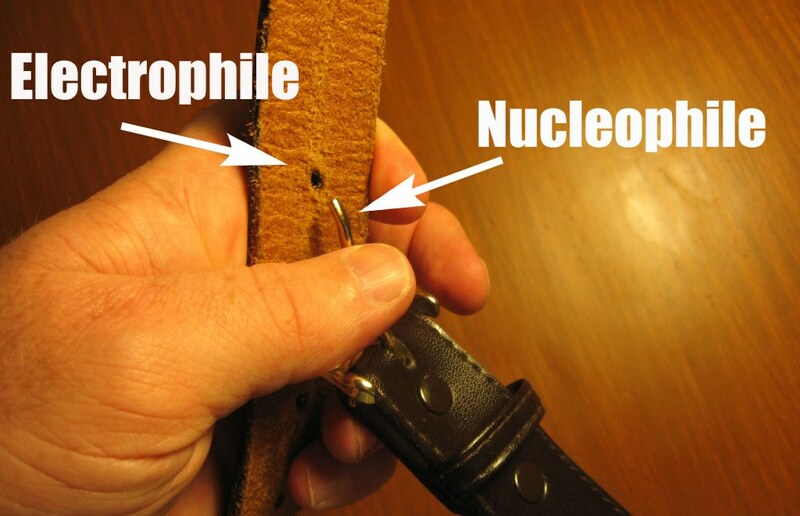 Nucleophile, electrophile: give the product. Here’s the same reaction. Exactly the same. But a lot of students I talk to will look twice at it the first time they see it, not quite sure what to do. Different example: the Friedel Crafts acylation between aromatic rings and acyl halides. Then, here’s the exact same reaction. Common result: hesitation. What happens? 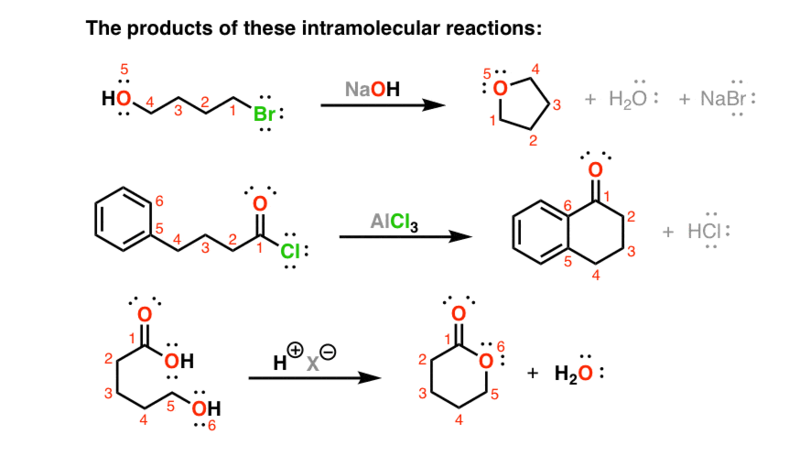 Last example: formation of esters from alcohols and carboxylic acids. The Fischer esterification. Once people see this, they usually find it straightforward. But then hand them this reaction, and it’s a stumper. What do all of these reactions have in common? When the nucleophile and electrophile are on the same molecule, they form RINGS. very interesting to get this web,i am a science teacher at blind school,some times it is very difficult to me to teach my students .big up!! Maybe you should mention something about why these reactions usually are favoured kinetically? U r best. Thanks lord for creating humans like u. It explanations and creativeness are just WOW! !